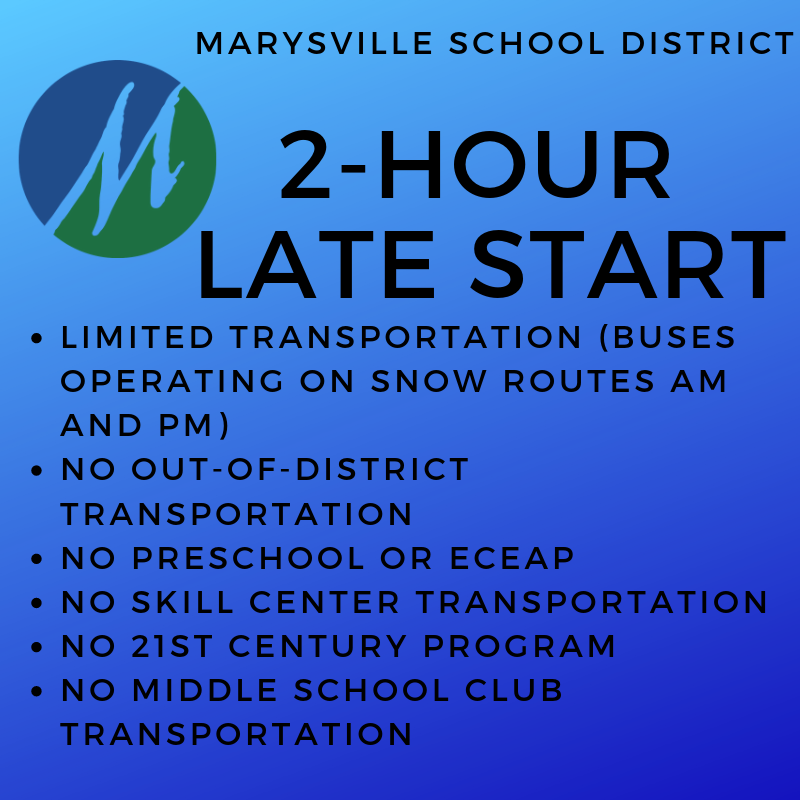 Marysville schools will start 2-hours late Thursday, February 7 AND Friday, February 8. NOTICE: Since there is a planned two-hour late start on Friday, schools will not dismiss early. Schools will start two hours late but will stay in session following a typical day schedule – no early dismissal. For both Thursday and Friday, school buses will run on LIMITED TRANSPORTATION ROUTES. For questions about limited transportation routes, call 360-965-0300.